Back in the day when Greece’s ferries were as delightfully cheap as they were agonisingly slow, island-hopping around the Aegean was a rite of passage for travellers. 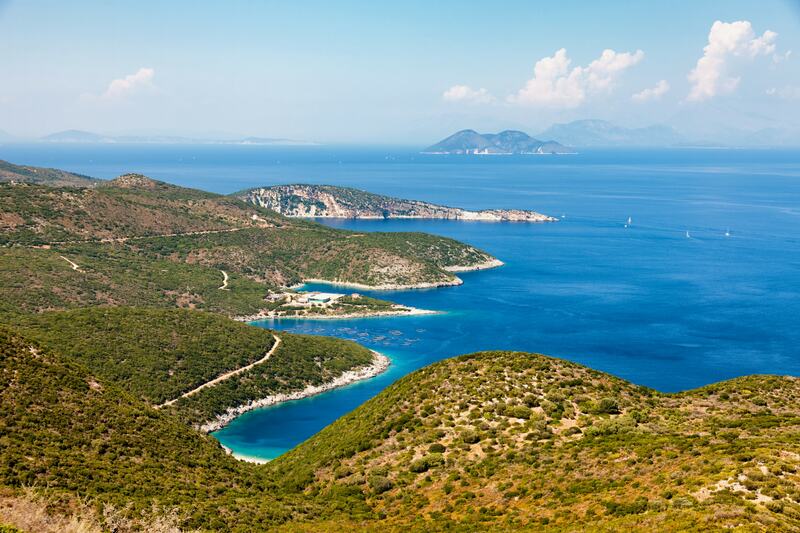 Now, with catamarans, charter flights, a ferry route connecting the Ionian islands for the first time this summer, and a fleet of seaplanes scheduled to launch in 2019, even the most remote islands are (relatively) easy to reach. 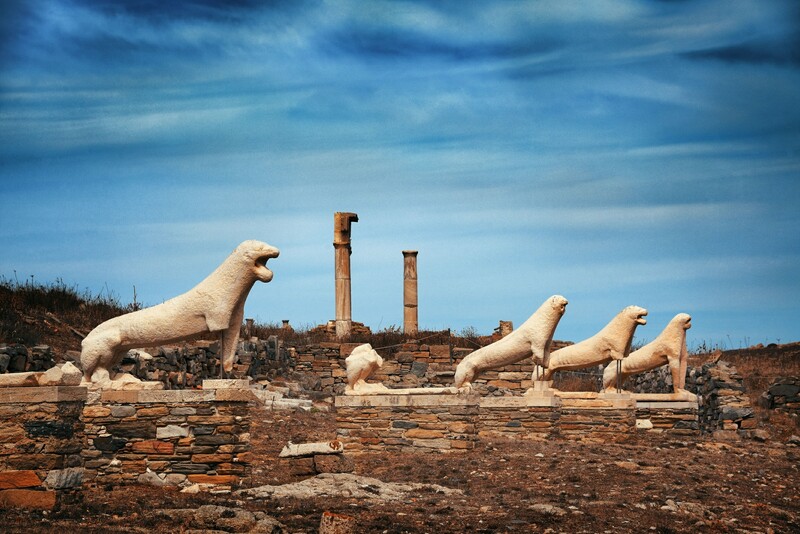 The Dodecanese bear the hallmarks of the country’s chequered history. A trading post between Europe and the Orient, they have attracted marauders and merchants since antiquity, leaving a potpourri of medieval castles, Ottoman minarets and art deco architecture in their wake. The rugged Northern Aegean islands are almost impossible to categorise. Chios, with its fortified medieval villages, Byzantine monasteries, and country estates lush with citrus orchards, is magnificent; Lesvos has welcomed waves of refugees with extraordinary humanity and hospitality; and Ikaria is known for its raucous religious festivals and nocturnal locals. The Ionian islands have more of an Italianate influence (they were under Venetian occupation for 400 years). Gentle and fertile, they have a softer light and quieter climate than the windswept Cyclades. The pine-fringed Sporades are out on a limb, a sleepy archipelago off the eastern coast of mainland Greece. Only four of the 24 islands are inhabited. Apart from Skiathos, which has an international airport, the other three (Skopelos, Alonissos, and Skyros) are natural beauties whose charms are largely undiscovered. 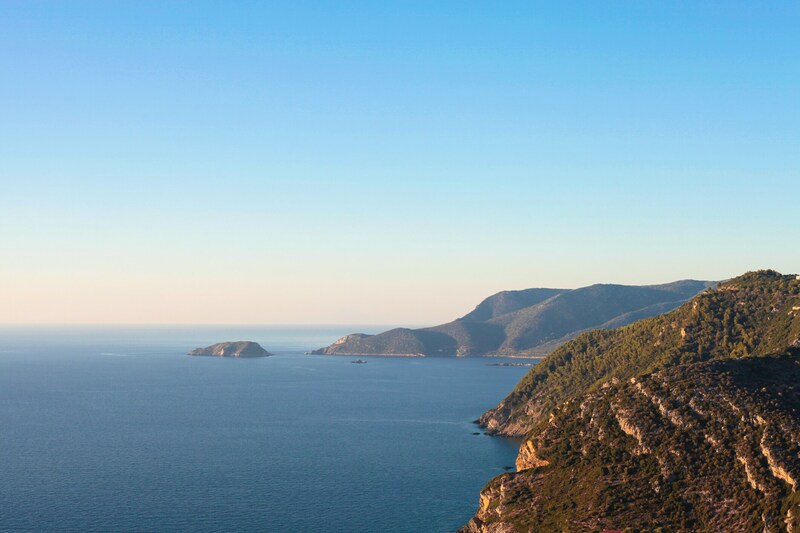 Only an hour or two from Athens, the Saronic islands are the most accessible. But each attracts a very different crowd: bohemian artists on car-free Hydra, shipowners on glamorous Spetses, epicureans on Aegina, famous for its pistachio farms. Each of the Greek islands, even the most popular ones, harbour secrets, if you know where to look. Despite its stunning beaches and lush landscapes, much of southern Corfu has escaped mass tourism. Surrounded by 70 acres of forest, the Roumanades Estate has belonged to the Trivolis family since the 17th century. Spiros and Loukia Trivolis welcome guests at their russet-red manor house. The kitchen in the two-bedroom apartment is stocked with home-made jam, fresh eggs, and olive oil from the estate. 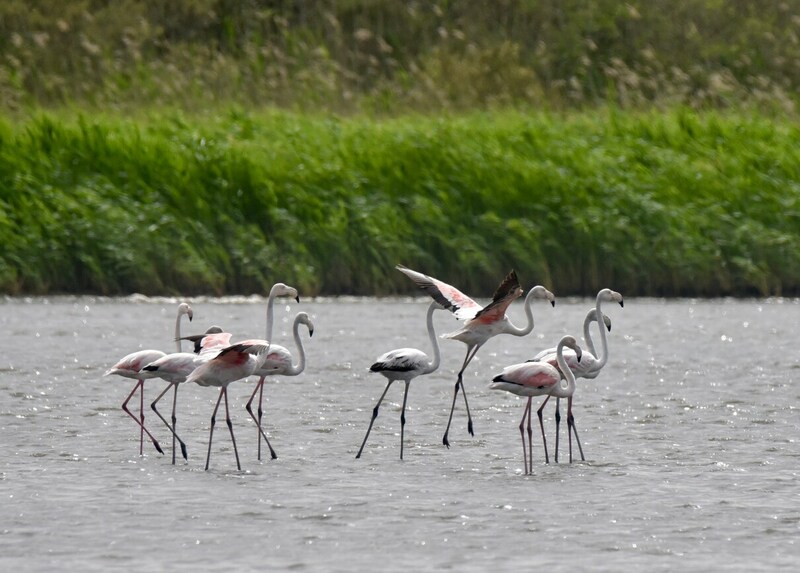 Go flamingo spotting in the wetlands of Alikes Lefkimmis, swim at Gardenos beach, or head further south to the sandy bay of Arkoudilas. A 17th-century monastery is hidden among the pine trees. With two million visitors a year, Santorini is hardly a secret. 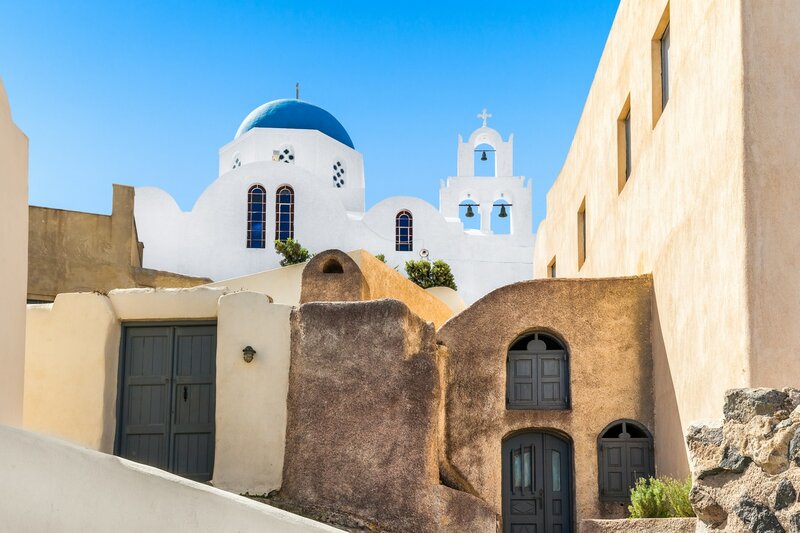 But you can escape the honeymooners and cruise ship day-trippers if you head inland to Pyrgos, the island’s best-preserved village, and sign up for a cooking lesson at Selene restaurant. Or try wines from all 19 of Santorini’s wineries at Oia Vineyart, a mellow wine bar hidden in Oia’s back alleys. Occasionally, you’ll be serenaded by a bouzouki player. It took Odysseus years to return home to Ithaca. Getting here still requires some effort, but you’re rewarded with limpid green bays and splendid hikes (like the trek to the church of Anogi – ask for the key at the village coffee shop). The Chapel is ideal for a couple looking to fall in love again. A yoga deck with a cushioned chill-out area overlooks a private beach, where day beds under the pine trees encourage indolence. For gentle activity, go paddleboarding, where the motionless sea makes it seem like you’re flying. 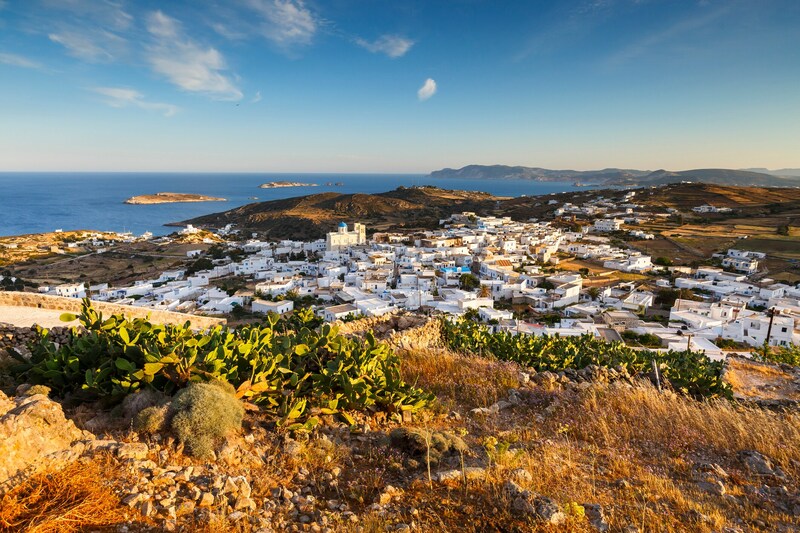 Antiparos – a 10-minute ferry ride from its big sister island, Paros – is becoming hip. Join the chic set for lobster spaghetti at Captain Pipinos, cocktails at The Beach House, and a shopping spree at More Than This, where you can pick up candlesticks and jewellery by interior designer Elena Xanthopoulou. When you want to disappear, take a boat trip to Despotiko island to explore the ancient sanctuary of Apollo (only discovered in 1997). Large, lush Andros attracts few non-Greek tourists. And the locals like it that way. There isn’t even a sign outside Ktima Lemonies. In a valley cooled by rushing streams, hidden down a dirt track, a handful of elegant stone cottages and a plunge pool are scattered among the citrus trees. A footpath leads up to the hamlet of Lamyra, with its 19th-century mansions, tinkling marble fountains, and orchards dripping with apricots and oranges. Check out the surprising Museum of Contemporary Art. Lawrence Durrell called Delos “the Wall Street of the ancient world”. 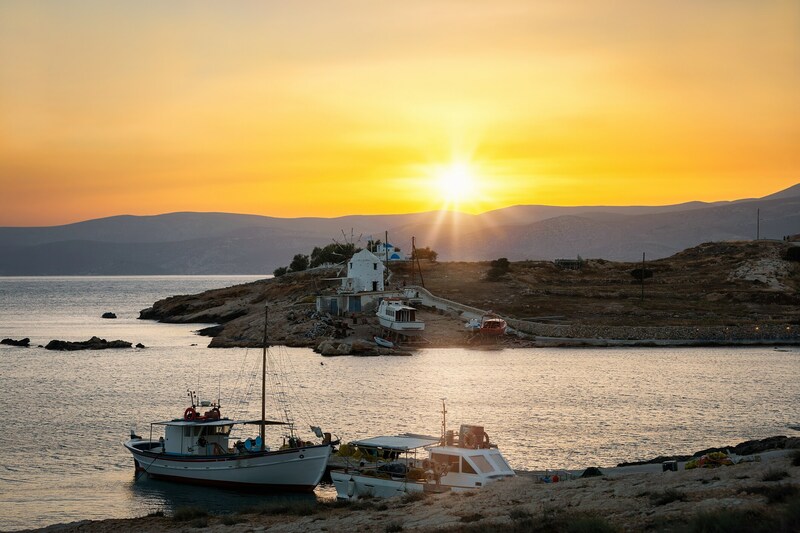 Once the epicentre of the Cyclades, Mykonos was once no more than a staging post for those en route to Delos; now, fewer than 10 per cent of travellers to Mykonos make the half-hour pilgrimage to the Unesco World Heritage site. Inspired by mosaics that decorate the temples, theatres and houses, Irene Syrianou creates replicas and originals at Asteria Mosaic Art, using the techniques of the ancient Greeks. Along with guided tours of must-see sites such as Akrotiri on Santorini, and the palaces of Knossos and Phaistos on Crete, Andante Travels offers access to the excavations at the Cretan fishing village of Sissi – an opportunity to explore parts of this site not usually accessible to the public. A fishing boat will also transport you across the Gulf of Mirabello to the island of Mochlos, an important Minoan trading post. Abandoned after the earthquake that rocked Kefalonia in 1953, the ghostly mountain village of Palia Vlachata springs back to life for three days in August. At the Saristra Festival (Aug 3-5), video art is projected on to crumbling buildings, bands perform in the village square, yoga mats are rolled out in empty stables, and the unpaved streets fill with revellers of all ages. Near Sami is the underground Melissani Lake, where a boatman will row you around. Go at midday, when the sun hits the water at just the right angle, and the temperature inside the cave is deliciously cool. You don’t need a skipper’s licence (or deep pockets) to rent your own boat on Paxos – there are dozens of secret coves where you can cast anchor. At lunchtime you can moor your boat right below Villa Marina, overlooking Mongonissi bay, and cruise over to Antipaxos, an even smaller island with no shops, barely any roads and a few tavernas. Some 200 steps above Voutoumi Beach is Bella Vista, where grilled fish is served with staggering views. The taverna doesn’t have a landline, but guests can book with villa specialist Scott Williams. From Brice Marden to Juergen Teller, Hydra has long been a muse (and holiday haven) for artists. Every summer, Dakis Joannou, one of the world’s biggest art collectors, invites the likes of David Shrigley and Matthew Barney to create site-specific installations in the island’s old slaughterhouse. Check out Hydra School Projects at the old Sachtoureion high school, where emerging and established artists fill the classrooms with avant-garde art. Off the pine-clad coast of Alonissos is the largest marine reserve in the Mediterranean, incorporating a scattering of uninhabited islands, improbably positioned monasteries, and a rich variety of aquatic life. Go on a snorkelling safari, and look out for the shipwreck, a cargo ship that sank in around 425-415 BC, carrying hundreds of amphorae full of wine. 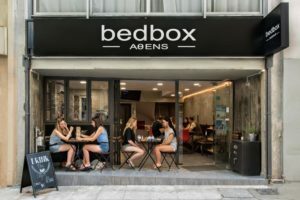 Once ubiquitous in Greece, kafenia – that cross between a café, grocery, and working men’s club – are slowly disappearing. But that’s not the case on Amorgos. You’ll find the tastiest home cooking at the village kafenio: courgette croquettes and amaranth salad at Parvas in Chora; meatballs and chips at Kali Kardia in Tholaria; flash-fried whitebait and grilled octopus at Prekas, on the waterfront of Katapola harbour, where the décor is unchanged in decades. And Prekas doubles as a travel agent, so you can buy your ferry tickets, too. Though its name translates as “Big Island”, this tiny Ionian island is anything but. Part of an archipelago of islets that includes Scorpios (once owned by Aristotle Onassis) and Oxia (owned by the emir of Qatar), Meganisi is also creeping on to the celebrity radar: Jacob Rothschild is developing a private enclave. 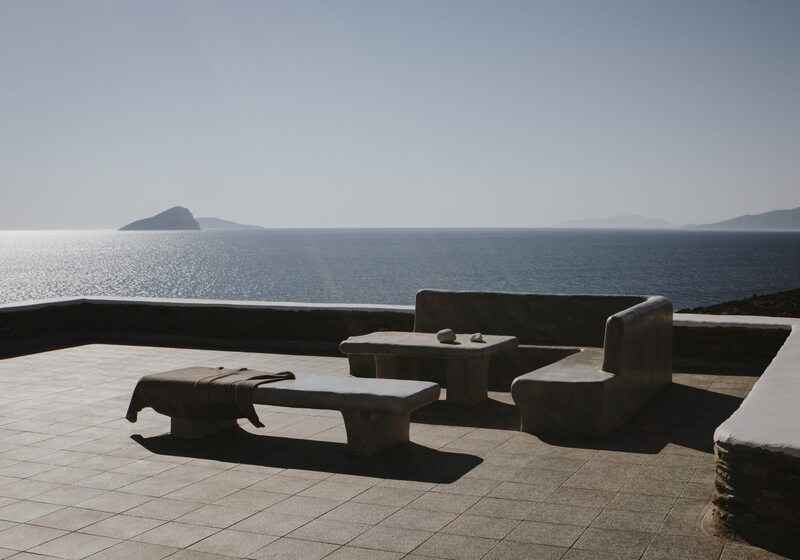 If you fancy pretending to be a billionaire for a week, check into Balos Bay Villa, which has private beach access and a motor boat to explore the hidden coves along the coastline. You would never expect to see prints by Picasso, Chagall, Miró, and Matisse in an olive grove on a Greek island, but that’s what you’ll find at the Teriade Museum. Lesvos-born artist and critic Stratis Eleftheriadis donated this collection, and also championed the work of his compatriot, Theophilos, whose folk art is on display in the adjacent museum. Lesvos is better known as the ouzo capital of Greece, and most ouzo is produced in the seaside town of Plomari, where you can sample the local tipple alongside local delicacies such as salted sardines and ladotyri cheese. Anna Martinou and Eranthi Karamali are the lithe and lively founders of Fykiada, a new outfit that runs yoga retreats on Kythnos, Mykonos and Koufonisia. Yoga and meditation sessions are held on the terrace of a beautifully spare Cycladic villa, which seems to float above its private bay. Breathe in the scent of oregano and thyme drifting on the sea breeze as you unwind. As well as energy-boosting vegetarian feasts, the retreat features insider experiences: watch a beekeeper make honey, learn to cook local pies, or kayak to Kolona beach. One of the joys of summer on the Greek islands is watching a film at an open-air cinema. And one of the loveliest settings for starlit screenings is Cine Titania, on car-free Spetses. There are bean bags for kids, G&Ts for grown-ups, and a sliding roof in case of showers. Built in the Sixties, but abandoned for years, Titania was revived in 2017 by the Vordonis family, owners of The Poseidonion, a heritage hotel on the waterfront. Every October, the hotels hosts the Spetses Tweed Run, a cycle ride around the island in plus fours and vintage frocks. The far-flung island of Ikaria is one of the world’s Blue Zones, where people live the longest. Discover the culinary secrets to the locals’ longevity with Diane Kochilas, the chef and food writer, who offers cooking lessons in her country house kitchen. Foraging for medicinal herbs, making cheese with milk from the neighbour’s goats, dipping in the hot springs that Hippocrates himself recommended, and dancing to Ikarian violins at church festivals are all part of this week-long immersion into life on the island “where people forget to die”. A two-hour ferry ride from Naxos, the twin islands of Ano (Upper) and Kato (Lower) Koufonisi are a castaway dream. Ano Koufonisi is small enough to walk around in a day. The coastal path from the pocket-sized port peters out at Pori, the largest of the island’s milky blue beaches. Kalofego is a laid-back beach bar where the owner, a musician, often stages impromptu jam sessions with his friends. On Kato Koufonisi, the only inhabitants are goats and the Venetsanos family, who run a wonderful taverna. Order fish soup or slow-roast kid goat. With only two settlements – the port of Psathi and the village of Chorio – low-key Kimolos is best explored on foot. Hike up to Skiadi, a rare geological monument in the middle of a barren plateau. The rock has been sculpted by the wind and resembles a massive mushroom. Pause for a picnic of ladenia (local flatbread topped with roast tomatoes and onions) then continue along the trail to Mavrospilia beach. If you’re lucky, you might spot endangered monk seals. The neighbouring islands of Tinos and Andros are etched with ancient stone pathways. 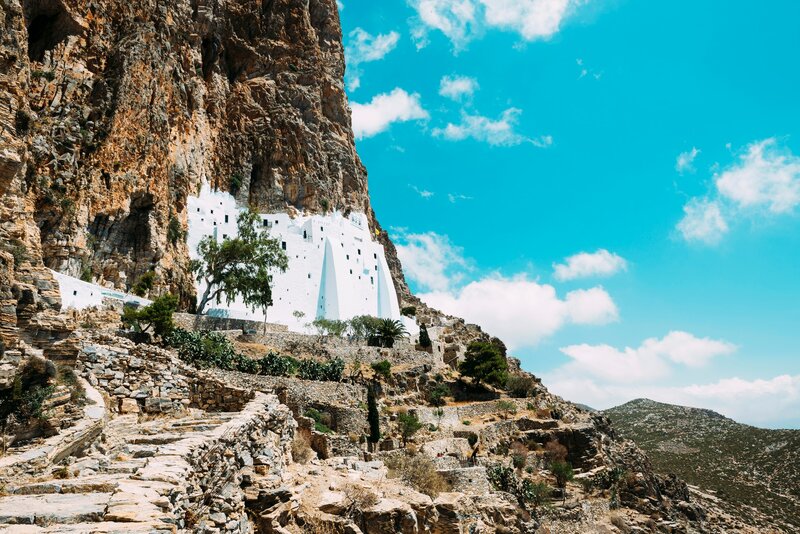 On Tinos, these walking trails connect the island’s 60-odd villages and 1,000 dovecotes, intricately decorated by marble craftsmen. (The Museum of Marble Crafts in Pyrgos is worth a visit.) The mountainous terrain of Andros is now accessible to ramblers thanks to Andros Routes, a grassroots organisation that has cleared and signposted 99 miles (160km) of hiking trails.